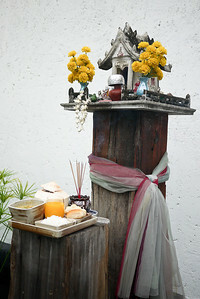 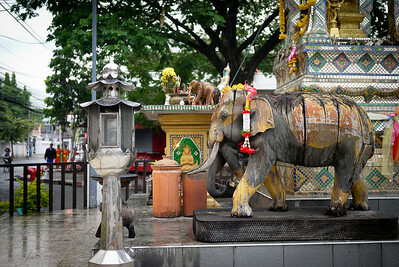 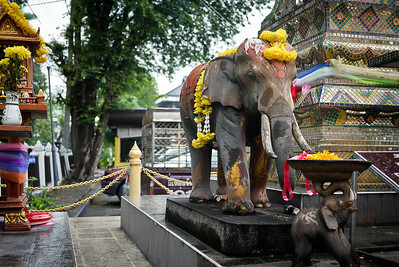 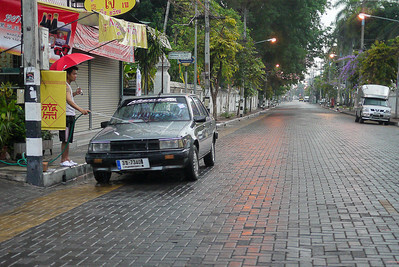 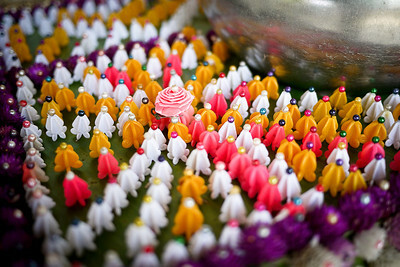 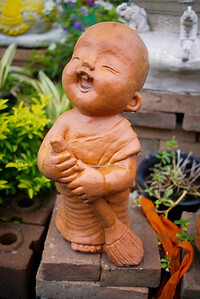 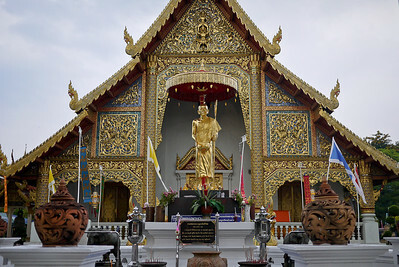 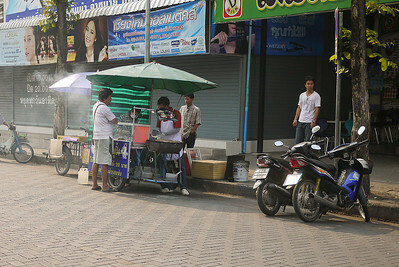 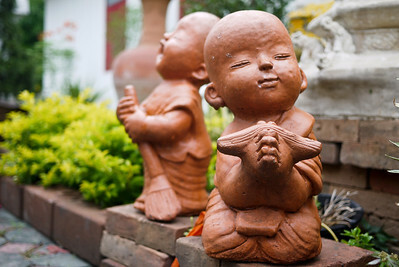 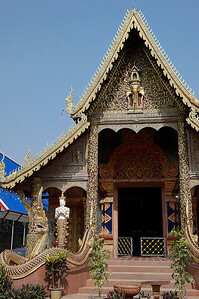 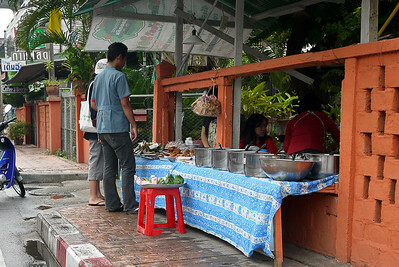 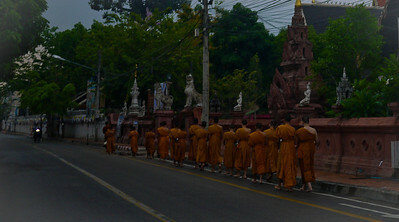 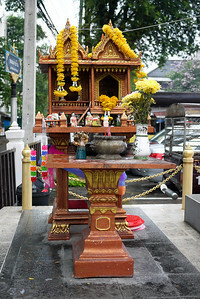 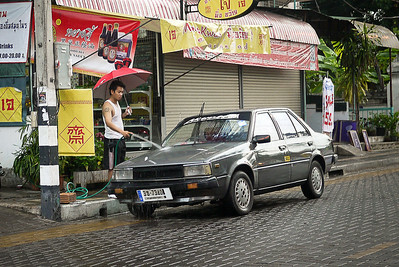 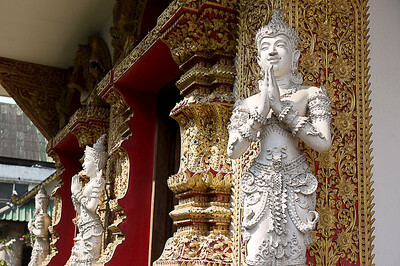 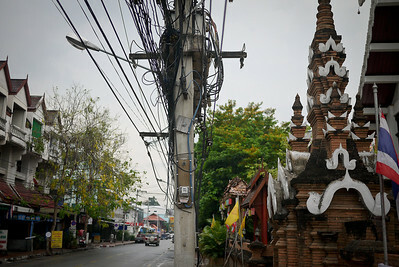 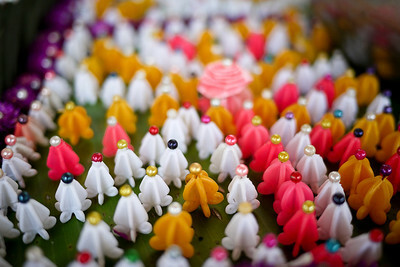 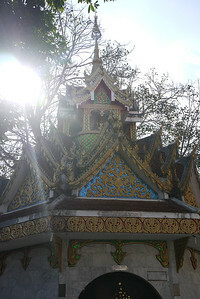 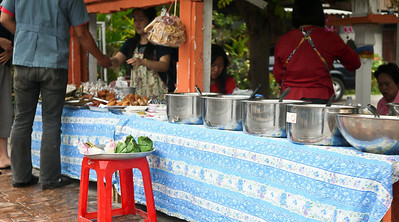 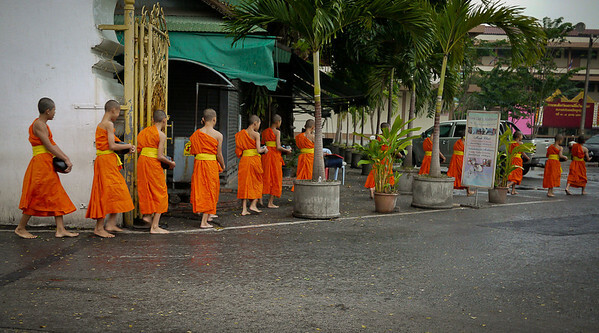 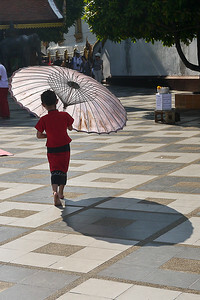 The Wats, temples, and monks sprinkled liberally throughout Chiang Mai, Thailand. 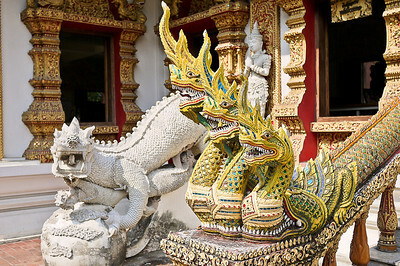 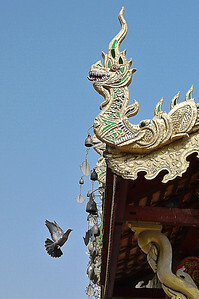 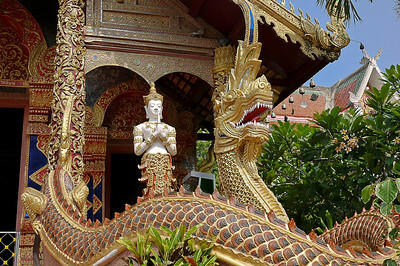 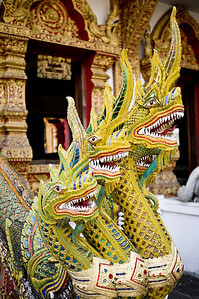 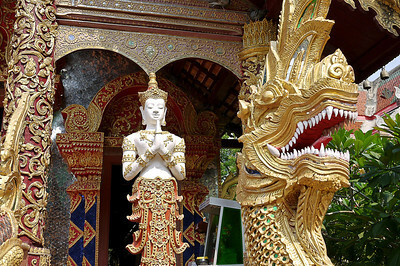 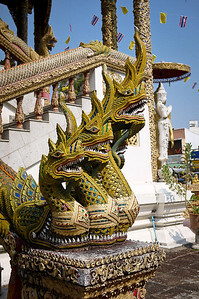 Elaborately decorated dragons at a temple (wat) in Chiang Mai, Thailand. 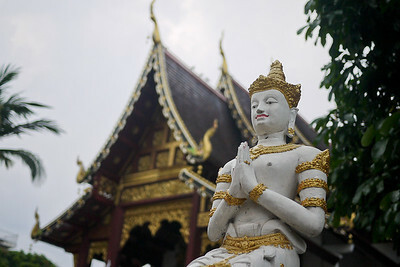 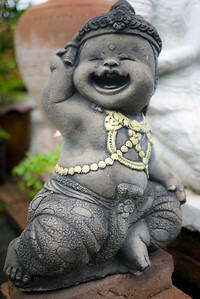 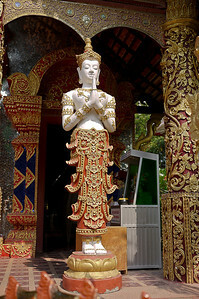 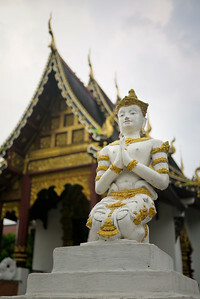 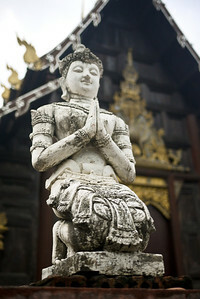 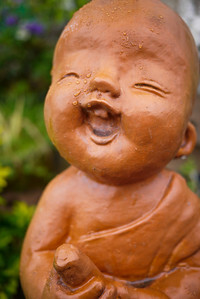 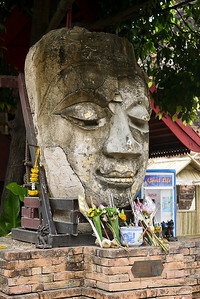 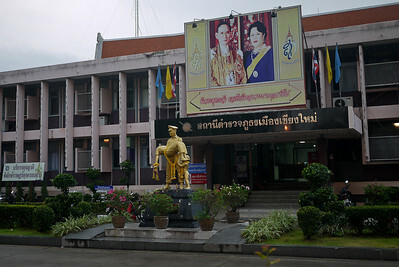 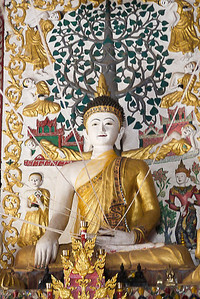 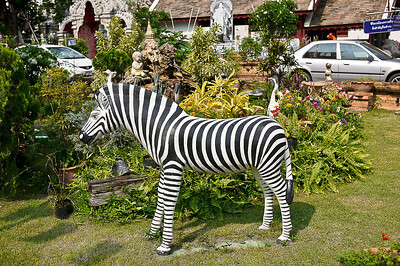 A statue guards on the wall surrounding a wat in Chiang Mai, Thailand. 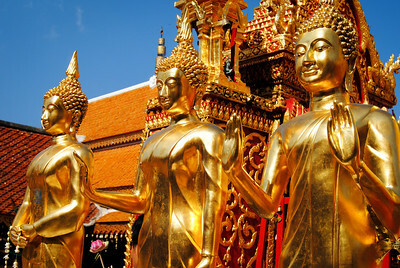 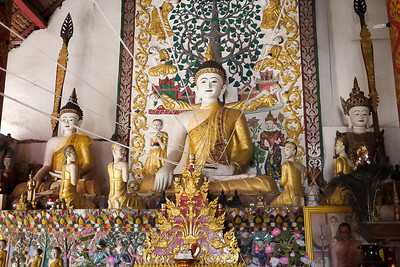 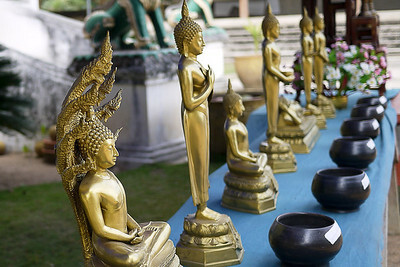 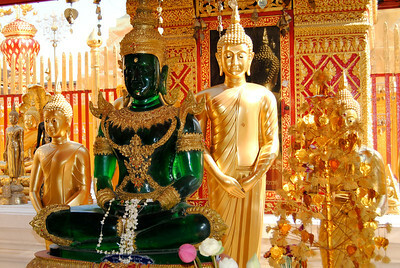 Golden Buddha statues at Doi Suthep temple in Chiang Mai, Thailand.